When you feel like you want to know everything that’s happening around you in an instant, here is some good news for this Christmas! Introducing SKYbroadband’s new Super Saver Plan 1599. It’s everything you would expect from a broadband provider as it offers 8Mbps unlimited broadband service for instant and reliable connection so you can make the holiday season more enjoyable for you and your family. The plan also comes with 6 HD and 35 Standard Definition Channels so you can catch your favourite local and international TV shows and series. Not only that, it also comes with free SKY-On Demand box. SKY On Demand is the new online video platform that gives users access to the biggest line-up of live TV channels, the latest episodes of your favourite local and foreign TV shows and hundreds of blockbuster movies. This affordable deal is available in various areas nationwide. 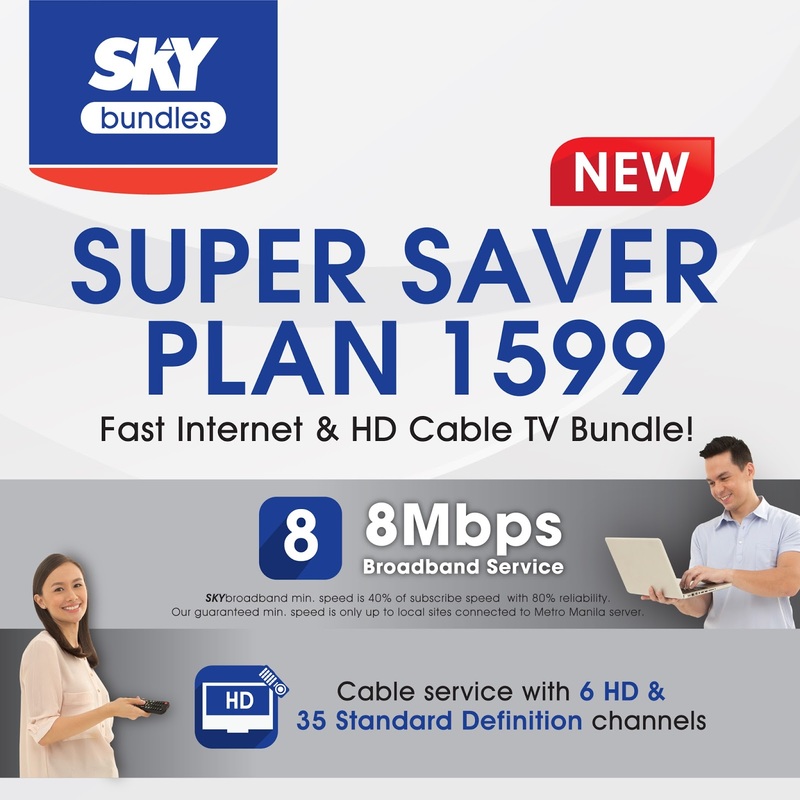 For more information on how to subscribe, contact SKYbroadband through www.mysky.com.ph or customer service hotline at 305-5456.